To celebrate the 21st anniversary of Samsung Electronics Colombia, the company has officially announced the launch of Samsung Newsroom Colombia, a platform intended to keep local media and consumers up to date with the latest news, product launches and information about Samsung. Visitors to the website will have access to a diverse range of Spanish-language content, including press releases, infographics, photos, videos and statements. Additionally, Samsung Newsroom Colombia aims to give readers a better understanding of the company and its activities, exploring local and international stories alike. Samsung has been a fixture in Colombia since 1997 and throughout the years the company has focused on delivering added value to consumers in the region, positioning itself as a leader in the smartphone and TV markets. 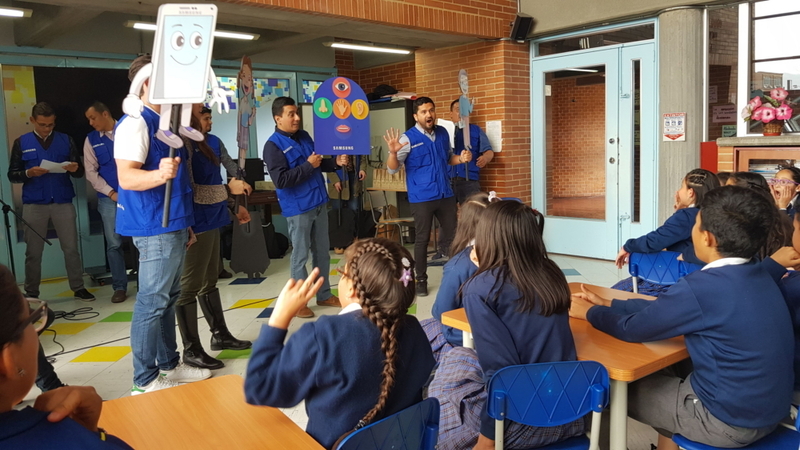 Samsung Colombia is also contributing to the campaign Technology with Purpose, which was launched to raise awareness about the problems faced by disadvantaged communities and eliminate obstacles in their daily lives. The company has opened its first Contact Center in Colombia catering to the commercial and service needs of people who are deaf or hard of hearing. This is an online service, in which sign language agents are assigned to solve user concerns through video calls. For more information about this project and further local activities, please visit Samsung Newsroom Colombia at news.samsung.com/co/.